Ada soalan mengenai Abba Granada Hotel? Terletak di tengah-tengah Beiro, Abba Granada Hotel merupakan tempat yang sesuai untuk meneroka Granada. Terletak hanya 1,50 km dari pusat bandar, para tetamu berada di lokasi sesuai untuk menikmati tarikan dan aktiviti di sekitar bandar. Hotel moden ini berada di sekitar kawasan tarikan bandar yang popular seperti Hospital Clínico San Cecilio, Cripta de Fray Leopoldo de Alpandeire, Hospital Real. Pendek kata, semua perkhidmatan dan kemudahan yang anda harapkan daripada Abba Hoteles adalah tepat bagi keselesaan seperti berada di rumah anda sendiri. Hotel ini menawarkan Wi-Fi percuma semua bilik, Wi-Fi di tempat awam, tempat letak kereta, khidmat bilik, bilik keluarga untuk memastikan tetamu menikmati keselesaan yang terbaik. Hotel ini mempunyai 136 bilik yang sangat cantik, setiap bilik dilengkapi televisyen skrin rata, ruang tamu asing, internet wayarles, internet wayarles (percuma), penyaman udara. Sama ada anda peminat kecergasan atau hanya mencari cara untuk bersantai setelah seharian bekerja, anda akan dilayan oleh kemudahan rekreasi kelas tertinggi seperti tab panas, pusat kecergasan, sauna, kolam renang terbuka. Nikmati perkhidmatan yang sukar ditandingi dan lokasi benar-benar berprestij di Abba Granada Hotel. 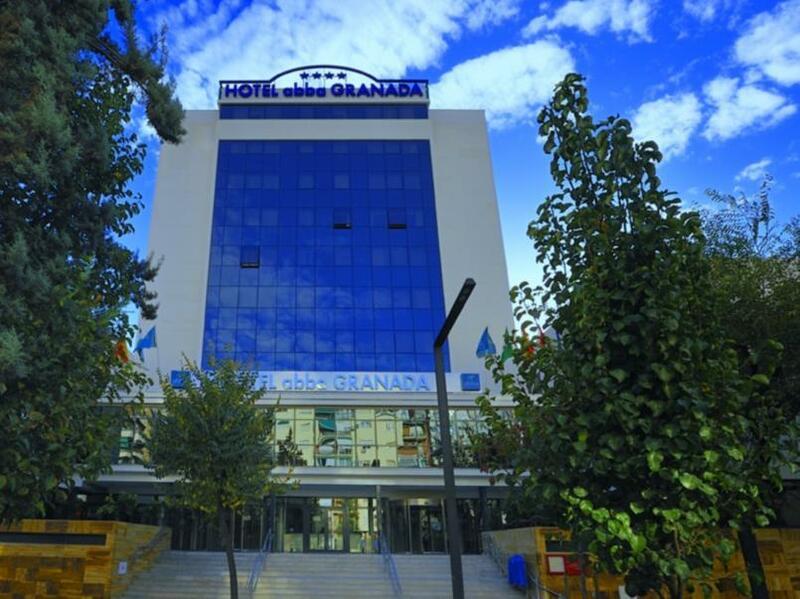 Abba Granada was an ideal base for exploring the city’s monuments, sites and attractions. It’s a quiet area after dark and a safe location to travel via public bus stop right outside the door. Located some distance from Alhambra and it's surrounding eating establishments, not the most desirable if the purpose of visit is Alhambra sight seeing. No complaints about this hotel. Location was good, being a 5 min walk from the train station. There is a bus right outside the hotel that gets you into the city centre within 10 mins or so. Room and shower were good. Buffet breakfast was included in our room rate and was pretty decent. As an aside, Granada is a very nice city and I would recommend spending at least 2 nights there. This is a 4 star hotel and the rooms reflect that although the airconditioning is not up to scratch. I arrived on the very hot day and the air con took hours to cool the room, in fact I had to ask for a change of room because after an hour I couldn't feel any difference. On the bright side the hotel is a short walk from the train station and a conveniently easy walk to the Cathedral. It is also on the early morning Airport Bus route which is very convenient and cheap as the airport is a long way out. A pleasant short stay at Abba. 15mins walk to the old town. Very easy to catch a taxi. It's only few minutes walk from the train station. It's good for for the travelers by train. 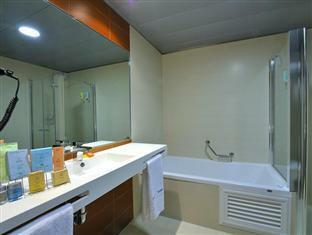 Average hotel with very clean room and good internet service. good location..very near train station...room is big and stylish..easy to access the city center..recommended!!! The room is quite big, and the bath is excellent, with message facilities! 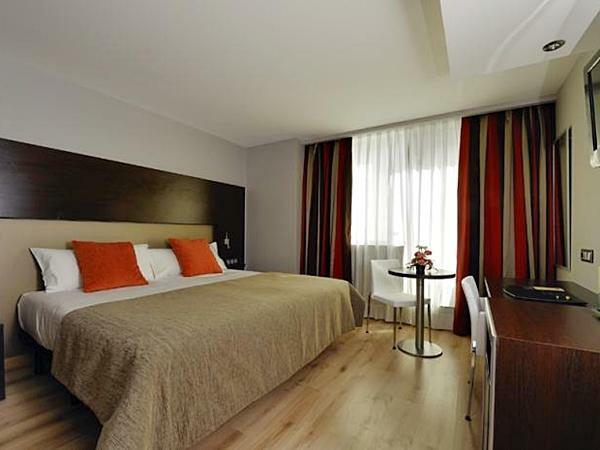 The hotel is conveniently located near the train station and city centre. It will be even better if they can provide a kettle for us to make hot water, and to save us from the trouble of collecting hot water from the bar/restaurant. I had a lovely stay. The 2 brothers that own this hotel were fabulous. They were so accomodating and friendly. The location is great, out the front door and to the left is the beach. The hotel is situated in a very cute and quaint town. Comfortable bed, A+ for the rate. I will definitely stay there again if I make back someday.